Earlier this year, we lost one of the greatest voices in rock history who also happened to be one of the most prolific characters. Chris Cornell unfortunately took his own life back in May, and since then, it feels like there’s been a void in the rock world. 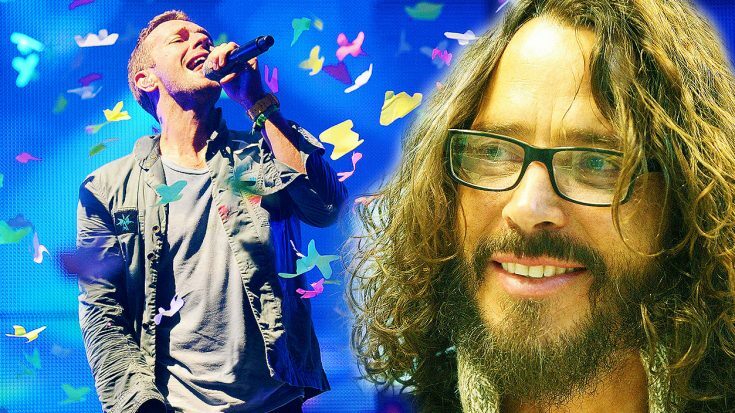 Since his passing, artists have been paying tribute to the legend, and over the weekend Coldplay appropriately paid tribute to Cornell at the end of their concert in Seattle. Chris was from Seattle, and his connection to the city throughout his life was incredibly strong. So, to close out their Seattle show, Coldplay topped off their last song with a piano ballad outro of Soundgarden’s classic hit “Black Hole Sun.” It was an incredibly emotional moment for everyone at the venue, and many cheered when Chris Martin played the few notes. The band got some serious praise from Chris’ widow Vickie Cornell, who tock to Twitter to show the band some love. Check out the clip of them performing down below and let us know what you think!